I wanted to name this post time management but felt 24 hours is a more apt description. 24 hours is what all of us get every day whether we like it or not. The way we use our daily 24 hours over a long period of time ultimately determines where we finish. Time management is an oxymoron and I am surely not an expert on it. I see myself more as a student and have gathered some ideas that can help in managing ourselves better. I firmly believe that time management is not reserved for only the work we do but it plays a very important part in our personal lives as well. When we manage ourselves better it reduces stress and increases our experience of joy. Everyone’s philosophy of time management is different so finding what works for each person is the key. For some people it may mean spending more time with the family, while for others it maybe to reach the apex of corporate success. Here are seven ways that can help us on our journey to optimum personal effectiveness. Focus on the wildly important – This is the essence of time management. There will never be enough time to do everything but always enough time to do the important things. It is absolutely important to focus on the top 20% of your items which will result in 80% of your results. This is the Pareto Principle in action. Learn to say no to the things which are not aligned to your priorities. As Stephen Covey says you can say no to a lot of unimportant things if you have a more important burning yes. Multitasking is a productivity killer. According to experts “If you are trying to accomplish many things at the same time you will get more done by focusing on one task at a time, not by switching constantly from one task to another.” I recently read an article in Inc. magazine which said “In one survey, people confessed to spending 40 percent of their time on things that are unimportant or downright irrelevant.” The key is to reverse this and focus on the most important things to be done. As Stephen Covey sanely observed “The key is to schedule your priorities and not prioritize your schedule.” Focus on what is the most important and say no to everything else. Maintain written lists – Write down a list of all the activities and tasks on your plate including personal and official. 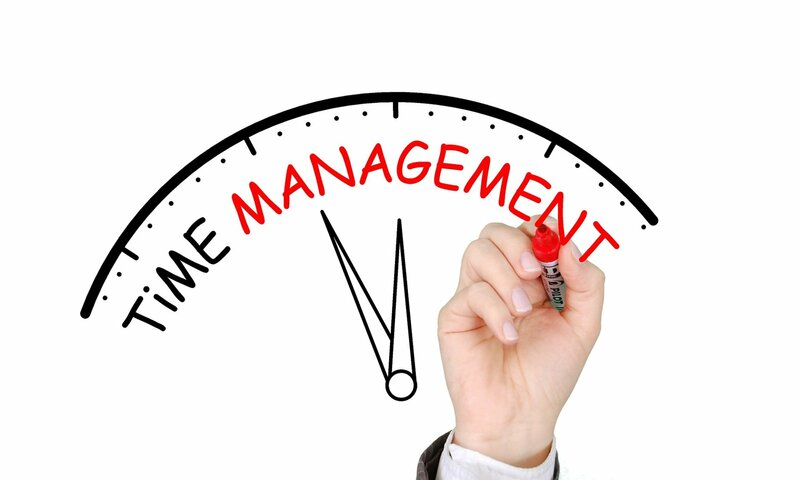 This is the common advice from all management gurus and time management experts. Despite all the tools available I find the best way to maintain clarity is to write things down which increases clarity and you get more things done. A good practice is to maintain a master list which contains all the tasks/activities to be done including simple things like calling the doctor’s office to schedule an annual checkup. The key is to free up our brain for more creative pursuits by writing the mundane things down. I like the reminders app in the iPhone where I can record all my items that need to get done and the Notes app is great to record ideas. Make a point to celebrate when important tasks get done. Most of the time we don’t acknowledge ourselves when we complete something for example getting our 5 workouts for the week but if we write down what we have accomplished even the small things every week we will improve our productivity and keep us motivated. Measuring our progress against our lists keep us motivated and engaged. Balance in life – All work and no play can make life boring and tedious. Yes working hard is critical to long term success but working hard and not playing only leads to poor performance in the long run. The key is to manage your priorities every day and schedule periods of recreation by engaging in worthwhile hobbies. Exercise or playing a sport or engaging in a personal pursuit is a great stress buster. Sleep is one of the most neglected aspects. On an average 7-8 hours of sleep is absolutely necessary to keep us energetic throughout the day. Yes at times burning the midnight oil is necessary but eventually we have to ensure that it is not short term gain for long term pain. I just read the following about President Obama in the book “The Best Place to Work.” The author Ron Friedman says “Six days a week his first order of business to exercise forty five minutes alternating between weight training and cardio. He makes time to fit basketball and golf to his weekly schedule. He reads history and non-fiction. During his first four years in office Barack Obama took 131 vacation days averaging more than a month off per year.” Another example sighted is Full Contact a Denver based Software Company that in 2012 implemented a program that actually pays employees 7500 to take their family to vacation. To receive the bonus the employees have to agree on three things 1. You have to go on vacation, 2. You must disconnect, and 3.You can’t work while on vacation. My purpose in sharing these examples is that everyone needs to recharge and the busier we get, the higher we rise the more important recharging our batteries become and we can’t leave it to chance. Turn off Facebook, Email notifications – When we constantly keep looking at Facebook or other social media channels it does distract us and we can easily forget what we were working on initially. We can schedule daily time to check them maybe mid-day or even a day without social media could be renewing. Technology is a great servant but poor master. I have Email, WhatsApp on my phone but I have turned off notifications and only when I open the mailbox or that particular application I can see the notifications. I also log out every time I check any of the applications and this makes sure that I may not check that often because I have to log in to the application again. Turning off notifications works well for me and gives a sense of control. There are many books on time management and most of them are good no doubt but we also have to be realistic in understanding what works for us. There are a lot of experts that say we should check email only once or twice a day. This is easier said than done and isn’t a good strategy if one of your job requirements is to be responsive. So we should find a time management philosophy that works for our unique work. I believe ultimately it is the individual who has to define what time management means for that person. Productivity hacks are good only if it applies to our situation. The views expressed here are my own and do not represent my organization.